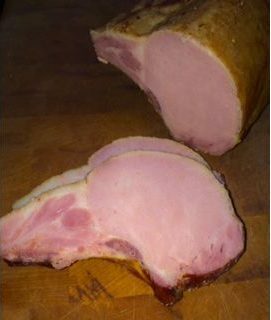 Our smoked pork chops are cured using a special blend of brown sugar and spices. 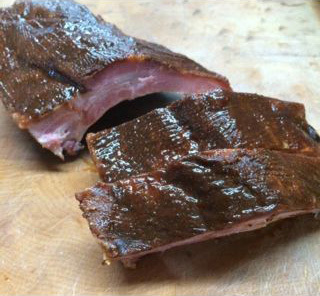 Then they are smoked over our special blend of hard woods for 24 hours. The result is a juicy pork chop that is fully cooked. 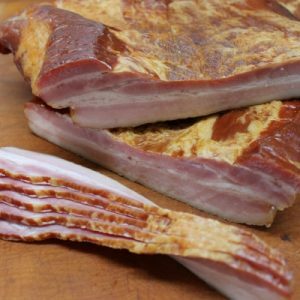 Just heat in your skillet, in the oven or on the grill for a mouth watering meal sure to please. 1/2 inch chops are perfect for the skillet. Each 1/2 inch chop weighs about a third of a pound. Chops 3/4 inch to 1 inch are perfect for the grill or oven. These chops weigh approximately 3/4 of a pound to 1 pound. Please specify in the quantity field, the number of pounds you would like. Please specify thickness of chop using the drop-down below.